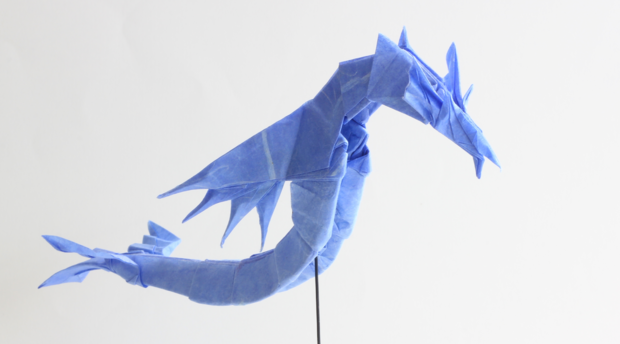 Origami Leviathan 2.0, made using one square sheet of Thai Unryu paper. Recommended size: 30cm or more. Based on final fantasy game.